In partnership with Expedia.com, we are pleased to deliver our latest 32 Free and Low-Cost Tips post. Chicago is a must for every urban traveler. Click here to explore more of Chicago on Expedia.com. Architecture, arts and culture, great food, green spaces, sports, museums, festivals... You'll want to explore and enjoy this city in all its facets. That is where this post comes in. Below you'll find tips in the following categories. First, a bit of Chicago trivia: Frank Sinatra's song "My Kind of Town (Chicago Is)" was nominated for an Academy Award for the Best Original Song of 1964 but lost to "Chim Chim Cher-ee" from Mary Poppins. I ask you, which has stood the test of time? Which remains in the fabric of America? We all know, it's Chicago! Now here are your budget tips for this fabulous city. The "L" train is called that because it is elevated. It was originally a nickname but now refers to the whole transit system. The Loop is Chicago's downtown area. 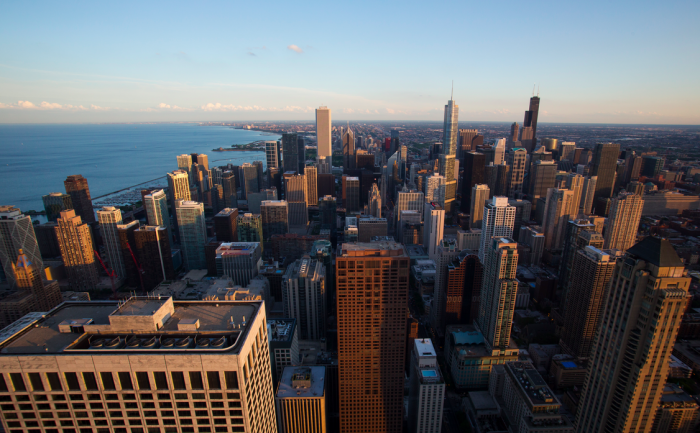 It includes some iconic architecture, Millennium Park, shopping, cultural institutions, and restaurants. You will want to explore this area for sure. Getting into town from the airports. Chicago has O'Hare International Airport and Midway Airport. Both are served by L trains with the former taking about 45 minutes to get to the city and the latter taking about 25 minutes. The cost for the L train from O'Hare is $5.00 and from Midway it's $2.25. Chicago transit system. 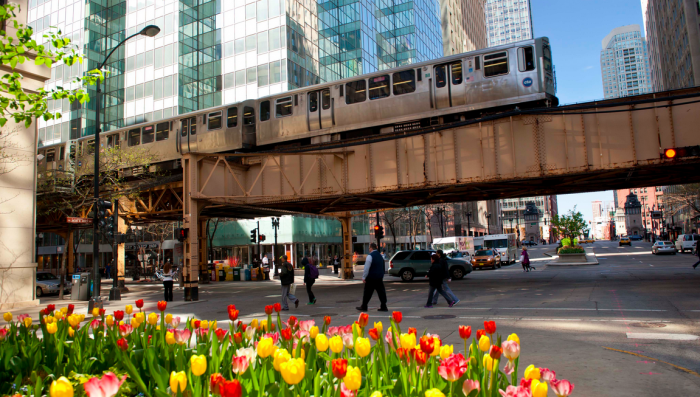 The Chicago Transit Authority operates buses and a train service, The L to locals. You can pay cash on both. The rate is $2.25 per ride but there are no transfers offered so if you have to take multiple buses you'll pay multiple times. You can buy a 1-day pass for $10 and a 3-day pass for $20. Use Google Maps on your phone to get detailed directions for transit between places. Rent a bike. The Streets for Cycling Plan 2020, a plan to build a continuous network of 645 miles of on-street bikeways throughout Chicago, and the city is well on its way with dedicated bike paths, barrier-protected bike lanes and more. You can order a bike map for Chicago here before your trip. They ask for 4-6 weeks for delivery. Rent a bike in Millennium Park and other locations. They also have a bike share program. The beautiful dome at the Chicago Cultural Center. Chicago greeters. The Chicago Greeter program pairs you with a knowledgeable local for an informal, insider's view of the city. I've used Greeters in many cities and it's always a wonderful experience. You have to book in advance. If you don't and still want that local feel, try The Loop InstaGreeter program for an hour tour. Chicago Architectural Foundation. This is the organization that runs the cruises of Chicago's architecture. Stop by the CAF Shop & Tour Center at 224 S. Michigan Avenue for their free exhibitions and check online before you go to see what programs they have scheduled. Go to the theater with this low-cost option. Check out the theater and musical performances at Northwestern University. NU has one of the nation's top-rated university theater programs. Tickets much less than the prices downtown. The campus is in Evanston, about 12 miles north of the Loop. Cultural events. 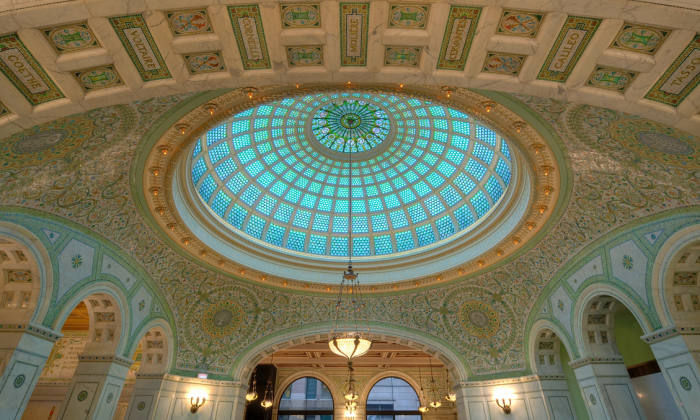 The Chicago Cultural Center holds hundreds of free events annually, including exhibitions, concerts, and lectures. Wander the Lakefront Trail. I did this with a bicycle I rented at Millennium Park. With Lake Michigan in front of you and the Chicago skyline behind, it's a wonderful way to spend the day. Hyde Park Artcenter. This non-profit center has public gallery talks, poetry readings, and musical performances, most of which are free. Poetry. The Poetry Foundation houses a public garden, a 30,000-volume library, an exhibition gallery, and an extensive roster of weekly public programs and events. Go to Navy Pier. The Pier is one of the most popular attractions in the city. It reaches half a mile into Lake Michigan. Walk out and you have spectacular views of the city. Navy Pier is home to lots of restaurants and attractions like a Ferris Wheel, Chicago Children's Museum, Chicago Shakespeare Theater, the Crystal Gardens, an IMAX Theater... the list goes on and on. Do note that, while the Pier is free, most attractions are not. 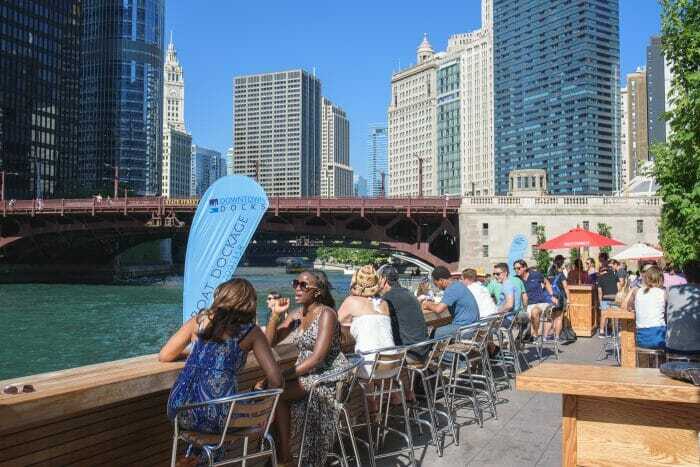 See the city in the day, at night, from the river… It’s not often that I might want a two-day Hop-On, Hop-Off tour package but in Chicago, I think it’s a good deal. With it, you can do the usual daytime tour plus a river tour and a night tour. Go to Frank Lloyd Wright house. There is a Chicago Architecture Foundation bus tour of 25 Frank Lloyd Wright buildings. Alternatively, you can take public transit to the Frank Lloyd Wright Home & Studio which is what I did. The Frank Lloyd Wright Trust has many options. If you’re a museum goer you might want to get a CityPASS. Get the best views of the city. It's always controversial to say that something is the best but I'm going to suggest that the Willis Tower (formerly the Sear Tower) with its Skydeck is the to choose for spectacular views of Chicago. Tickets are $23. 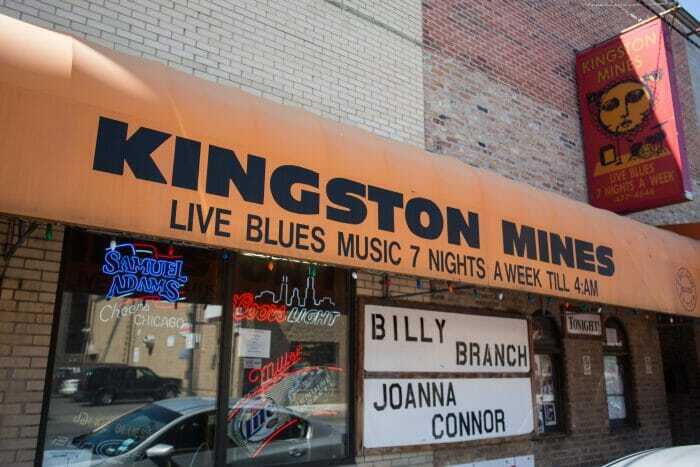 Not exactly fancy, Kingston Mines is one of the top blues bars in the city. Go to an Open Mic. Cheap and cheerful, open mics bring out the up 'n' coming and the wannabes. It's hit and miss in terms of the music but you will definitely be with a room full of friendly, relaxed people. Most open mics attract the friends of the performers. As an alternative, here's a listing of comedy open mics. You must listen to some blues. Chicago is known for its blues scene. Kingston Mines seems to be the local favorite and it was certainly mine. It is also number 1 on the TimeOut Chicago blues bar list. Free music in the park. Check the Millennium Park schedule for free concerts all summer. Check out the festivals. This is a festival city all summer long. Check the list before you come to make sure you don't miss something very special. Run with the locals. Are you a runner? Then join a local running group for a run. Great for solo travelers as you will be running with others, plus, you'll likely head out for the traditional coffee or beer after the run. Here's a list of Chicago's running groups. Last minute theatre. Great for locals and visitors alike is Hot Tix, a one-stop shop for day-of discounts on current shows. The Service usually has half-price tickets for theater, dance, improv and sketch comedy. Buy online at hottix.org or visit their location on Randolph Street across from the Chicago Cultural Center. Join a Meetup. It turns out that Chicago has a meetup called the Chicago Meetup! It bills itself as the largest Arts & Culture Meetup Group in Chicago. You can also dig into the Chicago part of Meetup.com to discover a full range of meetups based on different interests. Free museum days for Illinois residents. This is in the Live Like a Local category because you have to be a local of sorts to benefit from the free access policies of many of Chicago's museums. Details here. Eater Chicago rated this the #1 place for a cheap breakfast in the city. Located at 2051 N California Ave.
Chicago Restaurant Week. Held in late January and early February each year, Chicago Restaurant Week is an opportunity for you to taste some of the city's best food and try great restaurants at a discount. During this time many restaurants have prix fixe menus. Open table. With their rating system and $$ system to tell you how expensive a restaurant is, OpenTable.com helps guide you through choosing the type of food you want, the specific restaurant and then lets you book a table according to date and time based on availability. Use OpenTable at home and as you travel and earn dining rewards. Picnic in the park. With places to buy food nearby, Millennium Park is the perfect place for a picnic, people watching and, with luck, a free concert. Try the 7th floor of Macy’s on North State St. for Frontera Fresco by award-winning chef-restaurateur, cookbook author, and television personality Rick Bayless. It's just a couple of blocks from the park. TimeOut's Cheap Eats Chicago. I always check out TimeOut for just about every city I visit. Amongst their regular articles they usually have great articles on food. 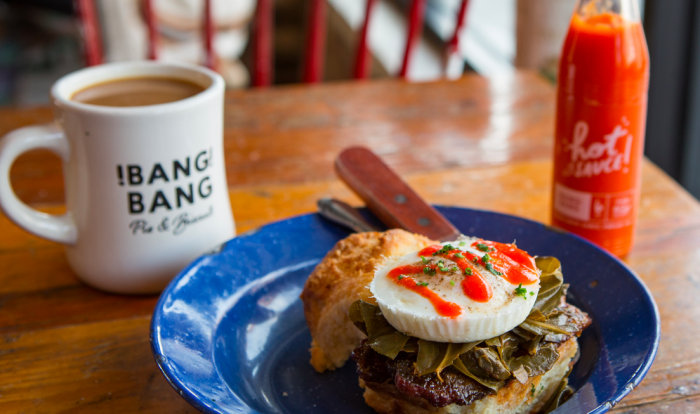 Here's their cheap eats guide for Chicago. Eater Chicago has their list. While the city's Michelin-starred restaurants get a lot of the attention, Eater Chicago has put together a list of more moderately-priced restaurants that give you your money's worth. For suggestions, I went directly to the Solo Travel Accommodation Guide with recommendations from readers. The third, non-budget recommendation is where I stayed. 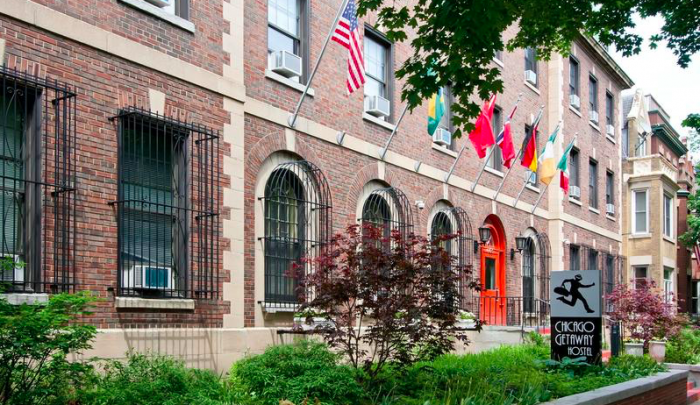 IHSP Chicago Hostel. Submitted by a reader. 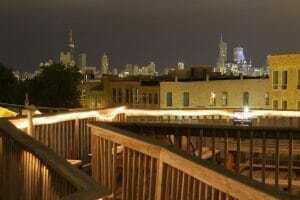 "The location of the IHSP Chicago Hostel is amazing. It's walking distance from awesome shops, bars, and the metro system. The building is great, very cozy, warm, welcoming. There’s a pool table and there are computers and a shared kitchen. The dorms are nice and clean. The staff is great. And every traveler that I met there was awesome and became a lifelong friend." Located at 1616 North Damen, Chicago. Hotel Monaco. This is not a budget option but a boutique hotel worth the cost. When I checked, it was less expensive than most 4-star Chicago hotels and had a better rating. The Hotel Monaco on Wabash Ave so very central. It looked like a typical boutique hotel in the lobby but when I got to my room I couldn’t believe it. It was theatrical, full of reds and golds, with unusual accents. When I opened the drapes to see what kind of view I had, I discovered a huge window seat overlooking the Chicago River. 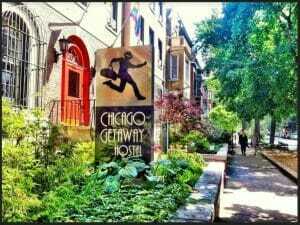 Here's a link to the Chicago budget accommodation page on Booking.com.